, metallic chemical element; symbol Rh; at. no. 45; at. wt. 102.90550; m.p. about 1,966°C;; b.p. 3,727±100°C;; sp. gr. 12.41 at 20°C;; valence +2, +3, +4, +5, or +6. 1. Abbr. for relative humidity. 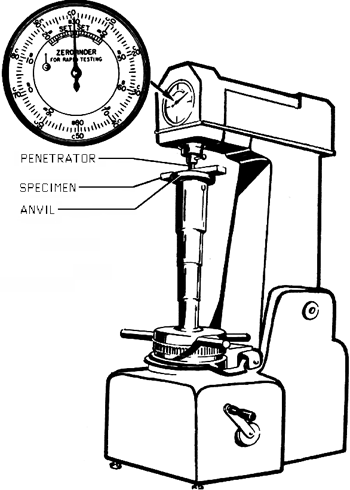 A measure of the resistance of a material to indentation; determined by use of a machine which presses a steel ball or a spheroconical ball indentor into the material under arbitrarily fixed test conditions; expressed by the Rockwell hardness number—the higher the number, the harder the material. RHS, Complete Gardener's Manual, DK, ISBN 978-1405365833 (DK) BD9 for Gulf Weekly Book Club members. Promenade beds were planted alongside the barbed wire fences; members proudly sent photographs of their gardens back to the RHS. uk/cardiff Ticket prices: RHS members, advance tickets pounds 7, Public, advance tickets pounds 8. Recommendation: To help resolve identified borrower noncompliance in a timely manner, the Secretary of Agriculture should direct the Administrator of RHS to implement enforcement mechanisms that can be tailored to the severity of the borrower noncompliance, such as the civil money penalty enforcement provision in its program regulations. Other features of the RHS handle include a ribbed outer face on the handle, which provides a secure grip for the operator. More specifically, GAO recommends that the best working features of rural housing programs in RHS could be merged with other comparable federal housing programs in agencies such as HUD. During spring 1991, the YRBS, developed by the Centers for Disease Control and Prevention, was administered to AHS students and to RHS students in a school district in southeast Texas. The RHS will control the humidity level during the simulation of effluent flue gas. THE RHS Flower Show Cardiff is back to kickstart the gardening season. SAVE 10% INCLUDES FULL DAY AT CHELSEA RHS Chelsea Flower Show, RHS Garden Wisley & Hampton Court 4 days from PS339, 26 May 2016 Tucked away in one of London's most charming and affluent neighbourhoods, the Chelsea Flower Show is the horticultural highlight of the year, whilst over in the county of Surrey we find one of the great gardens in the world at Wisley. The research for the RHS also found that an increasing number of gardens are completely devoid of plants, with more than a quarter (28%) of the people quizzed saying there was no greenery in their front gardens - up from 8% in 2005.